Easy, right? I can tell you that it’s absolutely delicious too! The more I think about it, the more I’m in love with this idea. 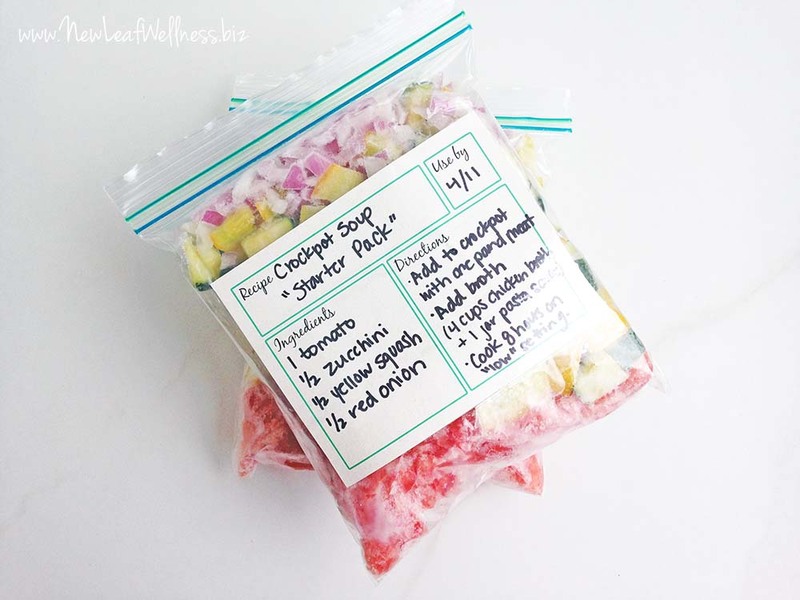 Not only is freezing fresh vegetables for crockpot soups an easy way to keep fresh vegetables from going to waste, but you can take advantage of sales at the grocery store and stock up on veggies for soup then too! 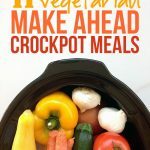 When you’re ready to use, add frozen vegetables to your crockpot with the rest of your favorite soup ingredients and cook on “low” for 8 hours or until meat is cooked through and vegetables are soft. The Spicy Sausage and Veggie Soup in my No Cook Freezer Meals cookbook is also one of our all-time favorite recipes. I buy a lot of organic carrots/celery. 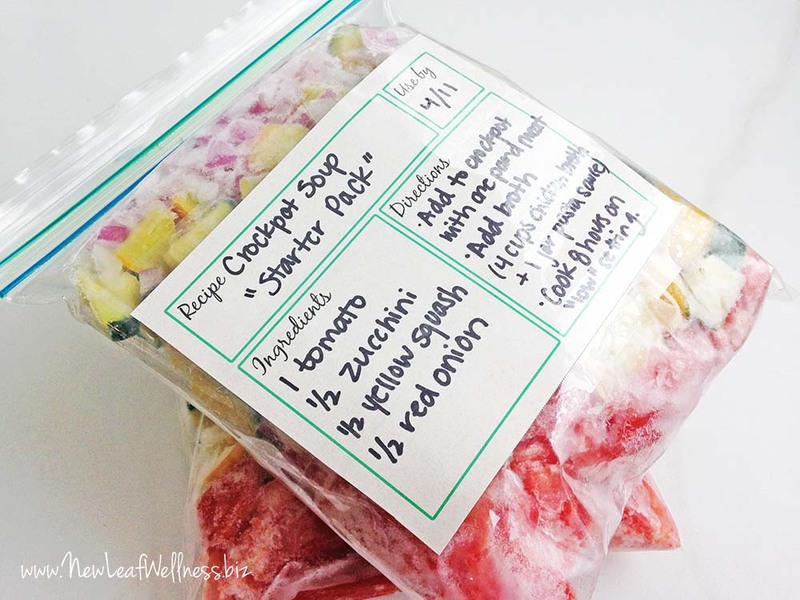 I keep a gallon freezer bag and as I peel carrots and cut off celery/leaf par they get added to the freezer bag. Any veggies about to expire get added to the bag. Once full add to my 6 qt crockpot and fill up with water. Cook on low for 8 hrs. 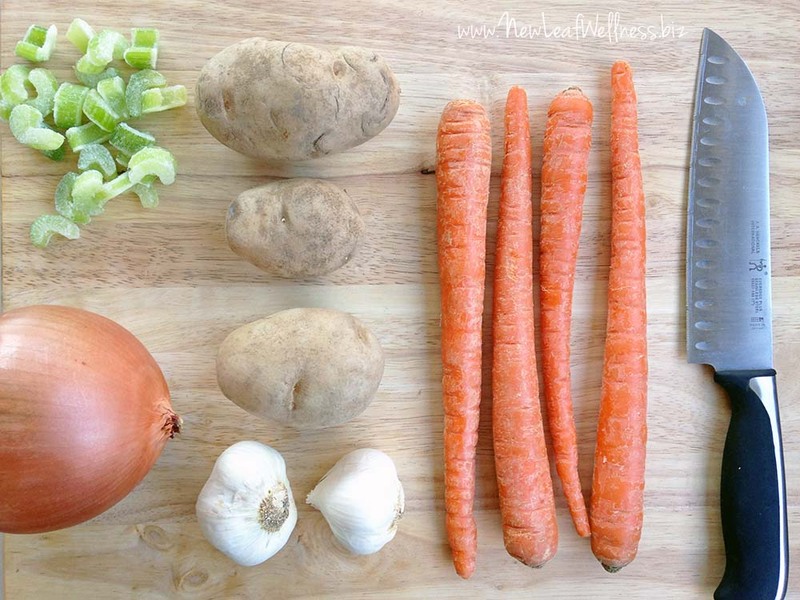 Strain and the liquid becomes the base of a veggie soup. Yes! I have been saving the ends of my carrots, celery, and onions to cook with bones to make broth. Love that idea. No waste. Love the labels – Would you share where you got them? Hi! I bought your cookbook trio over the holidays and have been really getting into making freezer meals. We made our first ten this past Sunday. So thanks for sharing all of this info! I have a question about freezing vegetables, especially potatoes. 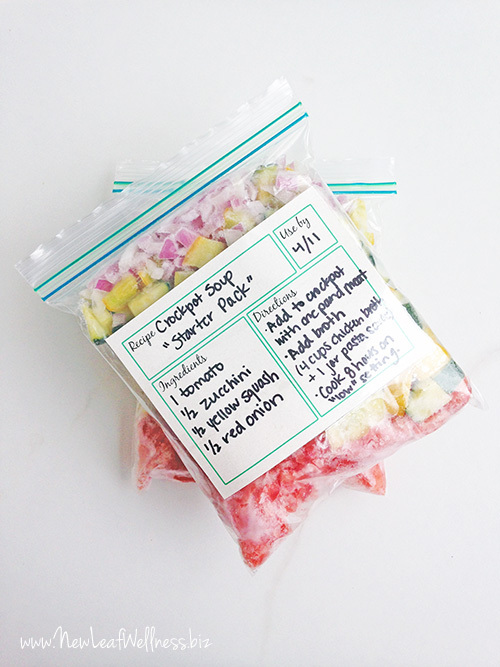 Some sites say you have to blanch vegetables, especially potatoes, before you freeze them. Do you find this to be the case? 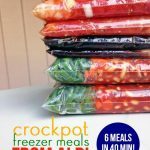 I’m particularly wondering about potatoes since there are a few slow cooker meals that I’ve found that look like they would make great no cook freezer meals, but they involve potatoes. Sounds like you’re off to a great start, Jenny! Awesome job. 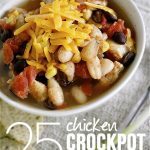 This post with freezer crockpot meals has a couple of recipes with potatoes: Make-Ahead Crockpot Meals. The conversation in the comments might be helpful too. Hope that answers your question. Thanks so much! It seems like the trick is to get the potatoes into the freezer bag as soon as possible after cutting them. I’ll definitely try it! We tried the spicy sausage and vegetable soup tonight and it was delicious! Yay! That’s one of our faves.